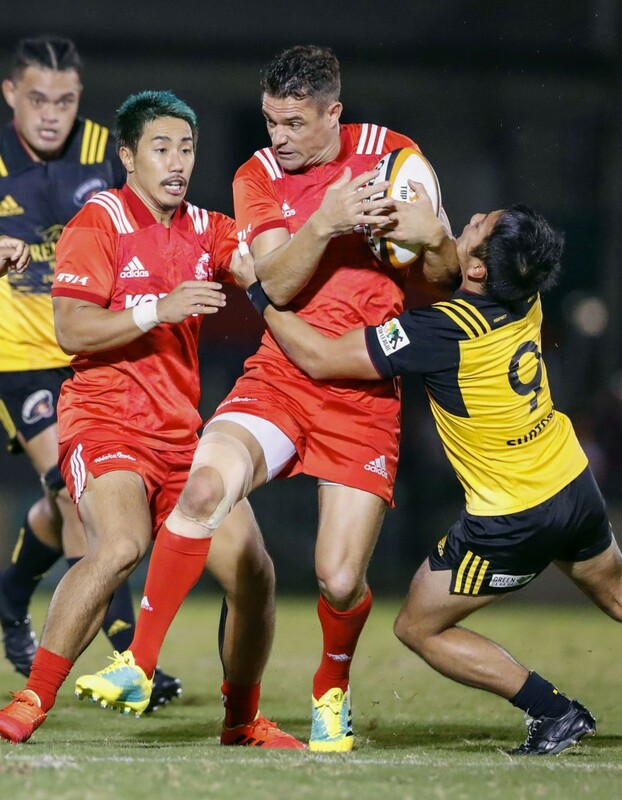 Dan Carter made his Japan Rugby Top League debut in stunning fashion Friday night as he led Kobe Kobelco Steelers to a 36-20 defeat of two-time defending champions Suntory Sungoliath. "It was a very special day to finally play in the Top League and Japan," said Carter, who returned to action following a four-month injury break. "I've been here a couple of months and worked hard and this was the last piece in the puzzle." "Coming to a new club you have to earn the respect of your teammates. I wanted to prove myself and I'd like to think I did." While most of the talk was about Carter, Kobe coach Dave Dillon, whose side went top of their group ahead of Saturday's seven games, praised the effort of the Kobe pack, and in particular Grant Hattingh. "Grant was pretty special," Dillon said. "He has the skill set and pace of a back and it was good to see what he did. But he can only do it with the other seven forwards and all the forwards have been working hard on their skills in attack and defense." But the Steelers struck back with Hattingh, who will be eligible for Japan at Rugby World Cup 2019, again involved as he put away Richard Buckman for Kobe's second try. Carter added the extras and then went even better as he finished off a Kobe try that started in their own 22 with Atsushi Hiwasa making a turnover and launching the counter-attack. Such was Carter's influence that Suntory took Tamura off in the 23rd minute and replaced him with the All Blacks legend's longtime nemesis, former Wallaby Matt Giteau. Despite losing Hattingh at halftime to injury, it took Kobe just 90 seconds to increase their lead as Kentaro Kodama scampered over from a ruck close to the Suntory line. Suntory closed the gap in the 54th minute when Kotaro Matsushima's quick feet saw him cross the chalk, with Giteau adding the extras. 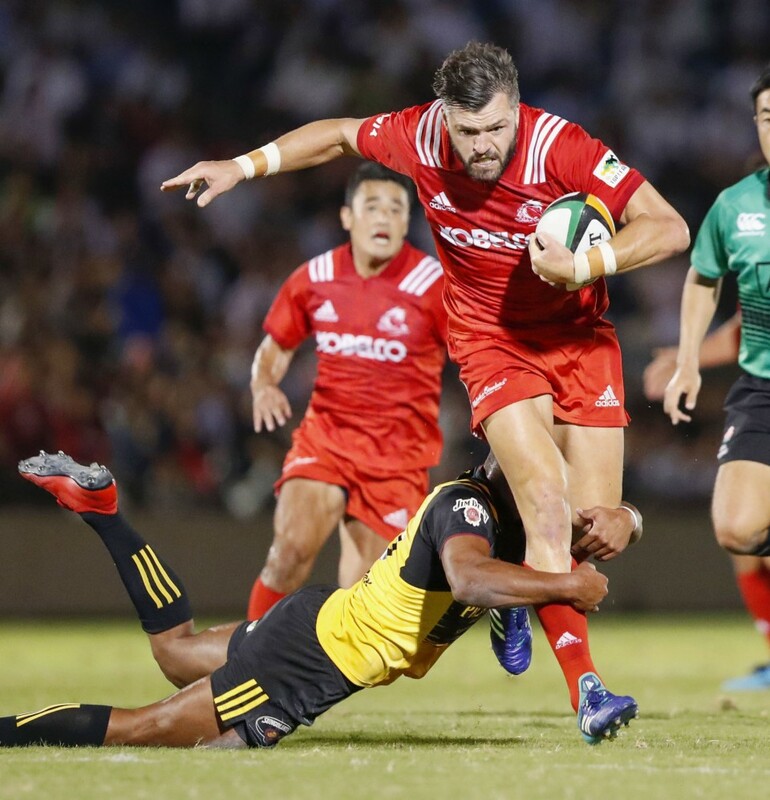 But this was Carter's night, and the two-time Rugby World Cup winner added two further penalties, either side of a try by Suntory replacement wing Kenta Tsukamoto, to ensure there was no doubt who would lift the man-of-the-match award come the final whistle. "Kobe played with a lot of passion and got off to a great start and we weren't able to play our game," said Suntory coach Keisuke Sawaki, whose side have two wins and a loss to their name. This season, the league's 16 teams have been split into two Conferences -- Red and White. Following seven rounds of pool games the top four sides from each group will play for the league title.